Call today for driveway gravel! Boswell Trucking, Inc. is a full service excavating contractor operating in Burlington, NC. With over 15 years of experience, Boswell Trucking, Inc. delivers safe, timely and effective results. We know what we're doing, so we do it quickly and do it well. With our reasonable and competitive pricing we always stay on budget. We provide a wide range of excavating services, site preparation and operate both compact through full sized earth-moving machinery to give us the versatility to handle a wide range of projects. We are fully licensed and stand ready to take on all of your excavating needs. 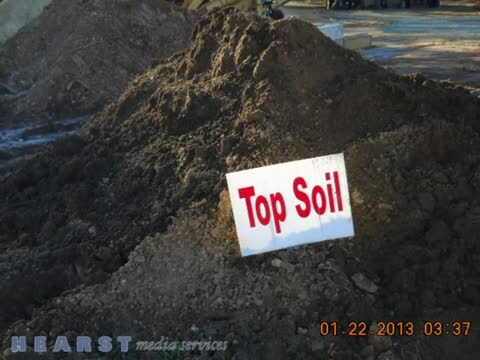 For topsoil compost and more, call us today! Boswell Trucking, Inc., has been the primary excavating contractor involved with a significant number of projects over the years. Our excavating contractors have built pools and dams, cleared land and handled earthmoving services for high-profile commercial construction projects and for residential customers. Boswell Trucking, Inc. will also provide truck hauling and home delivery of materials such as quality topsoil, field dirt, sand, driveway gravel and mulch. We can handle long­term projects and more intensive jobs such as large-scale property developments, commercial building construction and land-clearing for government agencies or businesses. Whatever your project, we can design an approach that is effective, safe, on-budget and that suits you and your other contractors. Providing quality topsoil in Burlington, NC! We do everything we can to contribute to the timely, safe and successful completion of your project. We are regularly contracted to work on large projects, but also have a dedicated team ready for any domestic improvements that require excavation and quality topsoil and topsoil compost. With cost-effective pricing policies, great service, safety record and quality results, we are proud to be the leading excavating contractor in the area. Boswell Trucking, Inc., has a proven track record of handling most any size job on time and on budget in Burlington, NC. We will happily provide references upon request so that you can hear it straight from our customers. Our crew has the experience and professionalism to handle any type of problem that might arise. For more information and a free estimate please call us today at (336) 516-1282 and let us put our experience to work for you!